Solvency and prosperity are not mysterious and nebulous accidents emerging from spontaneous explosions of primordial ooze. They are the results of hard work, production of a viable product and adherence to rock-solid basics. But one company in particular set out to provide a practical and reliable service for millions of users while following an uncommon (for Silicon Valley) path of frugality and intelligent financial management. Koum and partner Brian Acton, disenchanted with their work at Yahoo!, launched WhatsApp in 2009 shortly after the inception of Apple’s app store. WhatsApp is a cross-platform, end-to-end-encrypted instant messaging and social media application for smartphones. And it now has one billion users. Koum emigrated from the Ukraine at age sixteen, worked as a janitor at a grocery, and with used books, taught himself how to program. After dropping out of college and sojourning through South America, Koum used his Soviet-era notebooks (which his mother had originally packed) to jot down his ideas for WhatsApp. The team built a reliable app, without cheap gimmicks, that provided free messaging for users. “No one wakes up excited to see more advertising; no one goes to sleep thinking about the ads they’ll see tomorrow,” said Koum. WhatsApp took a lean approach from inception. They steadfastly avoided Silicon Valley investors and anything resembling flash, while their nondescript offices didn’t even have a sign on the door. The duo of Koum and Acton, described as Yin and Yang, respectively, remained devoted to clean, lightning-fast communication. Unlike apps that cost nothing, with questionable workability, and inundated users with ads, WhatsApp charged US and UK users one dollar per year after the first year and had zero ads or gimmicks. Their strategy worked, with the app gaining tremendous popularity, particularly in Europe. In 2013, WhatsApp had 200 million active users—now risen to one billion. Mark Zuckerberg came calling, and Koum met with the Facebook founder off and on for two years before an agreement was reached. By then, WhatsApp had continued to grow exponentially, and in 2014 Facebook bought WhatsApp for $19 billion ($4 billion cash and $15 billion in shares). WhatsApp now has Facebook’s vast infrastructure at its disposal. 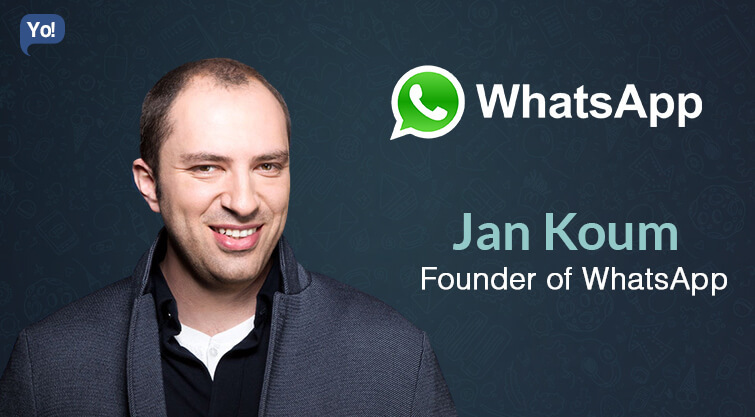 Koum became a Facebook board member but maintains WhatsApp’s autonomy. “There would have been no partnership between our two companies if we had to compromise on the core principles that will always define our company, our vision and our product,” said Koum. “1. Make a lot of money. “2. Spend less than you make. That’s covered by having a good Purchase Order system and alert financial management. “3. Make it before you have to spend it. “4. Gather bit by bit a cushion of cash to fall back on and don’t ever fall back on it. “5. Keep your credit excellent as a second cushion. We won’t all sign a deal with nine zeroes, but we can all grasp these seven fundamentals and apply them. WhatsApp had a workable and profitable product, and they balked at the trend of inflated valuation through unsubstantiated credit. They ran an efficient operation without waste and excess, and it paid off spectacularly.